NEW SMYRNA BEACH, Fla. (November 12, 2018) –The ATF & Gunslinger team continued their dominance at New Smyrna (Fla.) Speedway on Saturday night, winning the Prelude to the Florida Governor’s Cup with Cole Anderson behind the wheel. Marking the team’s 12th victory of the 2018 season at their home track, the win was Anderson’s ninth of the year at the half-mile oval. 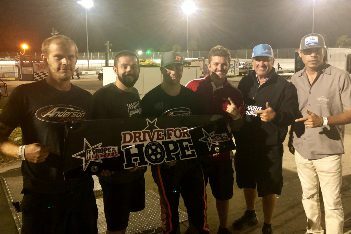 The team, led by NASCAR Truck Series Champion Mike Skinner and Andrew Franzone, had three additional victories at the Florida short track with Skinner visiting victory lane once and Jamie Skinner scoring an additional two wins for the team. In a dominating performance, Anderson topped the leaderboard during practice before taking the pole position. After an eight-car invert on the start, Anderson took over the lead on lap 16 and guided the field to the checkered flag. The victory marked ATF & Gunslinger’s 13th of the season, to include those by Anderson and both Skinners at New Smyrna Speedway, as well as Anderson’s win at Mobile (Ala.) International Speedway earlier this season. 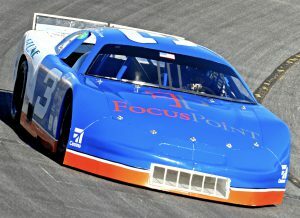 Additionally, the team has seven runner-up finishes, 31 top-five finishes in 42 starts, and Franzone drove to a second-place finish in the Pro Late Model championship standings at New Smyrna Speedway. ATF & Gunslinger will close out their 2018 race season next month, competing in the prestigious Snowflake 100 at Five Flags Speedway in Pensacola, Fla., with Cole Anderson behind the wheel.